“Music is like a gipsy, it’s a character who is in constant movement that’s why it evolves, and it has that incredible power, it’s a tornado that is stronger than any war,” says Monsieur Perine’s lead vocalist, Catalina Garcia, already on the road from Bogotá to the USA as the Latin Grammy-winning band approaches its Chicago debut. Laying out beautifully frantic gypsy jazz rhythms a la Django Reinhardt within a pan-Latino mix that includes boleros and cumbias, the band approaches what they call suin romanticón using unexpected instruments like the charango and bandoneon. It’s a part of their mission, says Garcia, which includes exploring a Latin American musical language in ways that connect it with the band’s more contemporary vision of the world. After setting SXSW 2012 on fire with charm and grace, the band has now traveled far from Bogotá (Their albums, including their first album Hecho a Mano are being distributed in Korea) and the band is now touring a second album, Caja de Musica, produced by none other than Eduardo Cabra, aka Visitante from Puerto Rico’s Calle 13 and features guests like Café Tacuba’s Ruben Albarran and Santo Domingo heartthrob singer and composer Vicente Garcia. It also fits into precisely the band’s vision of wanting gypsy jazz to interact with other rhythms in a Latin American context, she explains, moving the band beyond musical poses of mere imitation, as well as having a fresh, contemporary sound that allows Monsieur Periné to connect with its young audience. 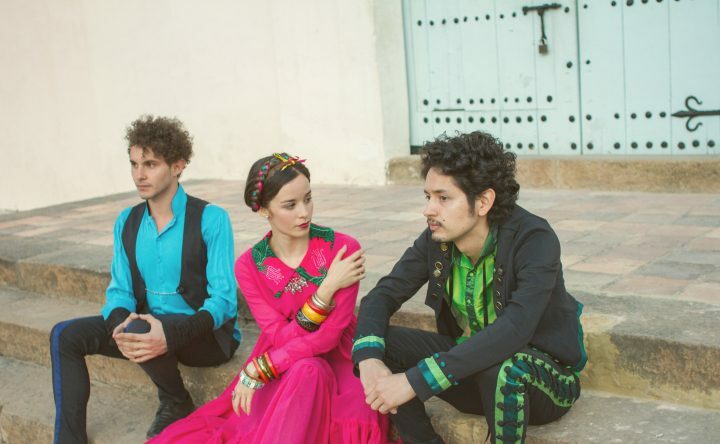 Monsieur Perine will play at the Chop Shop on Friday, August 19 and Pilsen Fest August 20.